for advanced singers — both treble choristers and teen altos, tenors, and basses, adults, and directors — along with a Junior Chorister day course for developing young singers. The Washington Course is an exciting and challenging course that takes place on the campuses of Saint Mary’s Episcopal Church and Marymount College in Arlington, Virginia, as well the close of the Washington National Cathedral and other important venues in the D.C. metropolitan area. We offer tracks for Advanced Choristers ages in Grades 4-12 (treble, alto, tenor, and bass), as well as a Junior Day Course for those budding choristers in grades 1-4. An Advanced Adult Singer/Choir director track is offered to provided opportunities for collegial interaction and professional enrichment. Immerse yourself in music-making at the highest level in some of Washington D.C.’s most historic and sacred spaces. 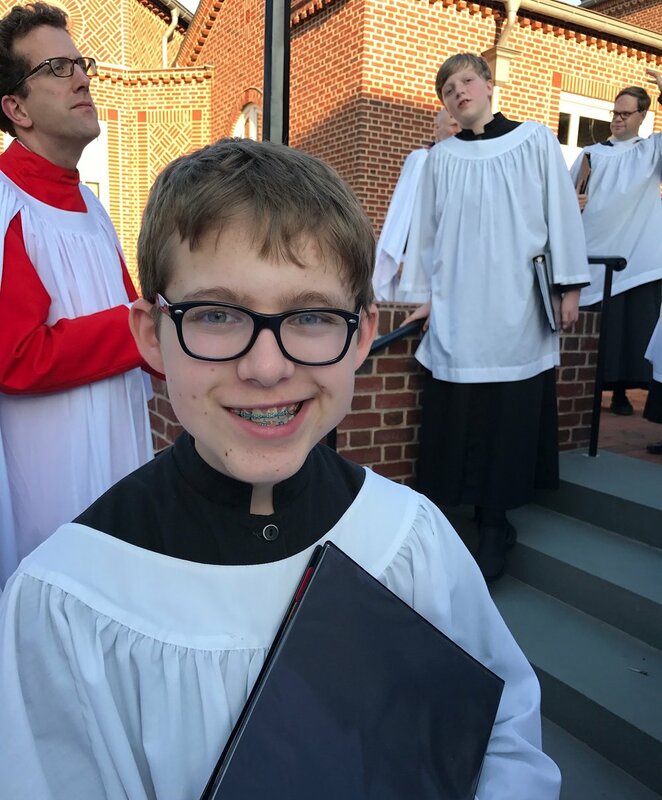 Choristers love returning to the course year after year for the opportunity to make music at a very high level in this important place, to renew friendships, and to experience our nation’s capital. Choristers will find themselves immersed in all things beautiful, from fine music and singing to historic venues and life-long friendships. The RSCM Washington DC Course is one of several training courses offered by the Royal School of Church Music in America. RSCM America has more than 400 affiliates crossing denominational lines and the boundaries of nearly every state. To participate in the course, please fill out the required application and recommendations for your desired track. All applications must be received by May 1, 2019 for priority consideration. See specific course track application requirements below. Course Fees: $675 for Advanced Choristers before March 15, 2019; $725 after March 15, 2019; RSCM members receive a $25 discount. TO APPLY: Fill out application and required forms, and references. Submit these by March 15 for “early-bird” pricing, and by May 1 at the latest. Once you are accepted into the course, you will be sent an invoice for course tuition payable by check or paypal. Join us as a commuter or a residential adult participant and join in group rehearsals, sectionals, and services, as well as seminars especially for adults. RSCM DC is a great place to improve your skills as a advanced chorister, refine your rehearsal techniques as a director by observing a master conductor, working with our vocal coach, brainstorming with other participants, and enjoying fun, fellowship, and high-quality music-making with other lovers of choral music in amazing venues throughout Washington DC. Course Fees: $675 for Residential Adults before March 15, 2019; $725 after March 15, 2019; $425 for adult commuters before March 15, 2019, $475 after March 15, 2019. RSCM members receive a $25 discount. TO APPLY: Fill out the adult participant application and required reference forms. Submit these by March 15 for “early-bird” pricing, and by May 1 at the latest. Once you are accepted into the course, you will be sent an invoice for course tuition payable by check or paypal. The course fosters the musical and spiritual growth of young choristers through the exploration of sacred song. This course is directed by Ms. Elissa Edwards, a singing teacher at the National Cathedral and Peabody Preparatory Institute. 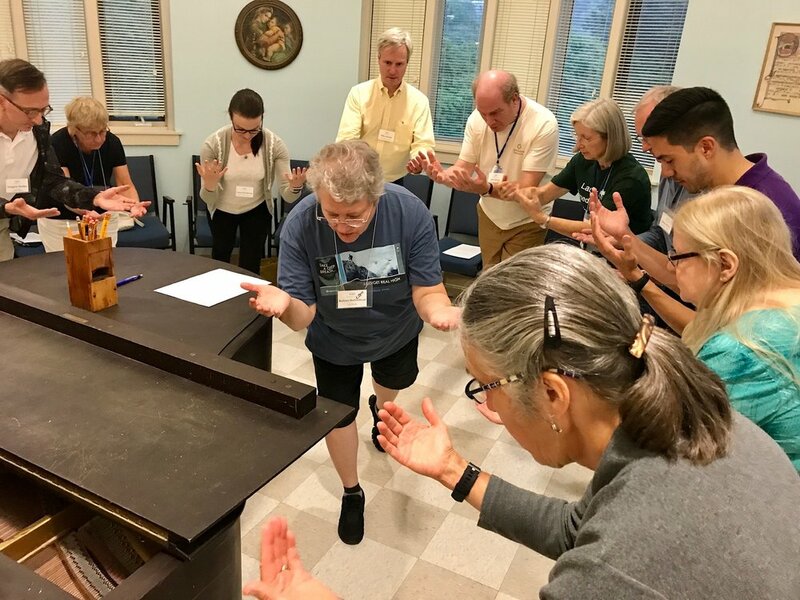 The day course includes daily movement for young singers, warm-ups music games to build music literacy skills and healthy vocal techniques, all exercised through a joyful and spiritual interpretation of music from the Anglican and global choral traditions! Teaching methods are drawn from Ms. Edwards’ decade of voice training expertise and the Royal School of Church Music’s Voice for Life curriculum. Spots available: 20 junior choristers (boys and girls grades 1-4). 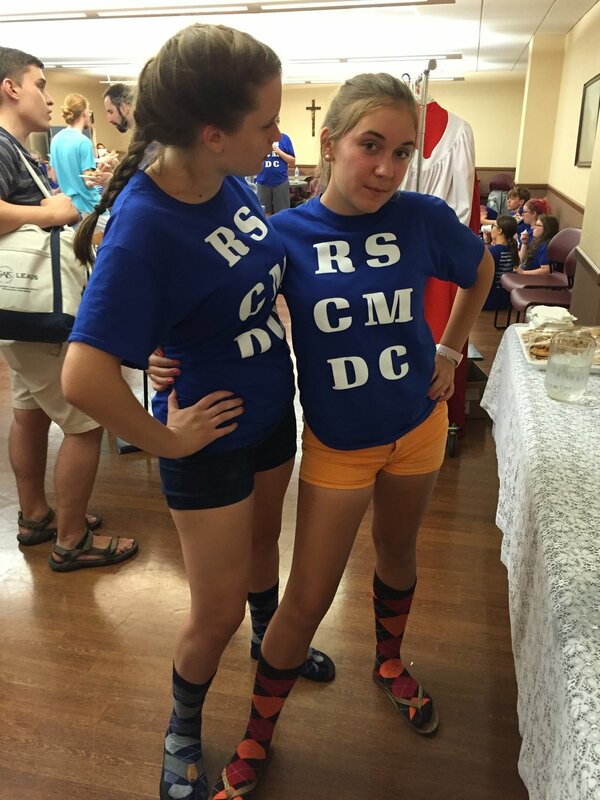 Course Fees: $295 for Junior Chorister Day Course. Additional children and RSCM members receive a $25 discount. TO APPLY: Fill out the Junior Chorister registration form and submit your course fees. ORGAN SCHOLAR: RSCM DC offers an opportunity for one young organist age 18-25, to be mentored throughout the week by the National Cathedral organists and our music director. 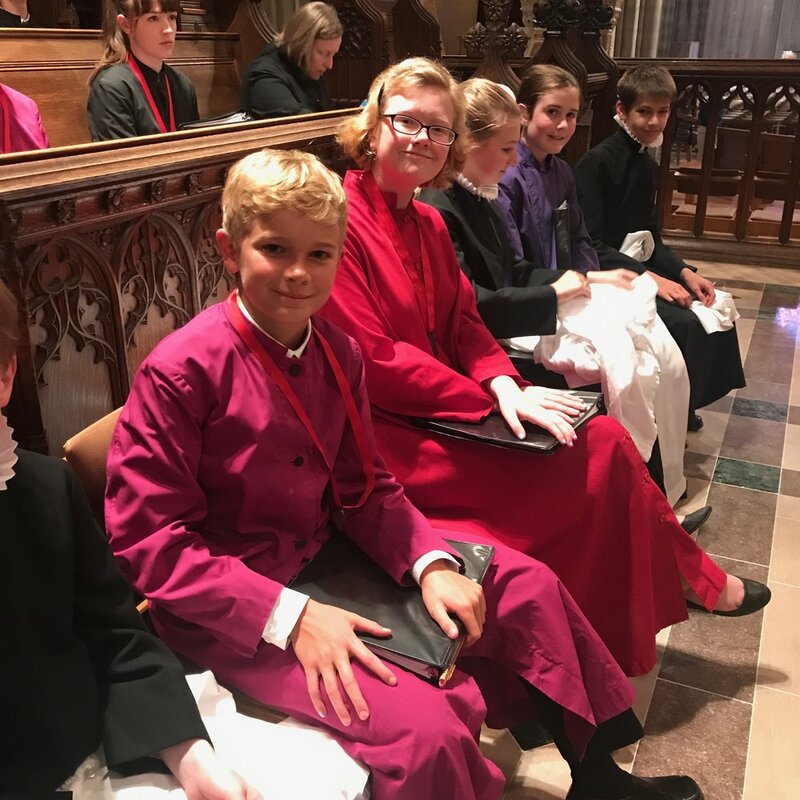 In addition to daily private lessons and instruction on choral accompanying, hymn-leading, and improvisation, these young organists share playing responsibilities for daily rehearsals, services, are responsible for at least one element of all public services. CHORAL DIRECTOR SCHOLAR: RSCM DC offers an opportunity for one young choral director with interest in working with training young singers to work alongside our Day Course director Elissa Edwards in the day course. You will have the opportunity to help lead and teach courses and assist with rehearsals throughout the week. To Apply: Please fill out the adult application and form and then send an email to rscmwashingtondc@gmail.com to indicate you are interested in applying for either the Organ Scholar or Choral Director Scholar positions. We will send application requirements at that time. RSCM DC Course participants sing services throughout the week at a variety of venues throughout the metropolitan DC area. Our services are open to the public. Our rehearsal and instructional venue for the week. Our residential venue for the week, Marymount is located conveniently across the street from Saint Mary’s Episcopal Church. Marymount provides both chorister and adult housing, as well as our meals throughout the week. Our national house of prayer for all people, this inspiring space provides a magnificent and awe-inspiring space for worship and making music. We serve as the choir-in-residence at the cathedral during the course, singing services Thursday - Sunday. Course participants are treated to a tour of this wonderful building as part of the course, along with singing several Evensongs and Sunday morning services. The following will give you some information about What to Bring, Where and How to Order Repertoire, aimportant Transportation information, and other necessary information for the course. Packing List • Vestments • Music • Etc..
Music packets are purchased through Lois Fyfe Music (sales@loisfyfemusic.com; 1-800-851-9023; loisfyfemusic.com). Packets will be available Soon! Remember to have your music learned BEFORE the course! Questions? Please contact us at rscmwashingtondc@gmail.com or through the form below.